Tomorrow you cannot miss the visibility activity “Convivencia en Lagunillas” that we organize in the framework of our project “Inclusion through Fusion”. 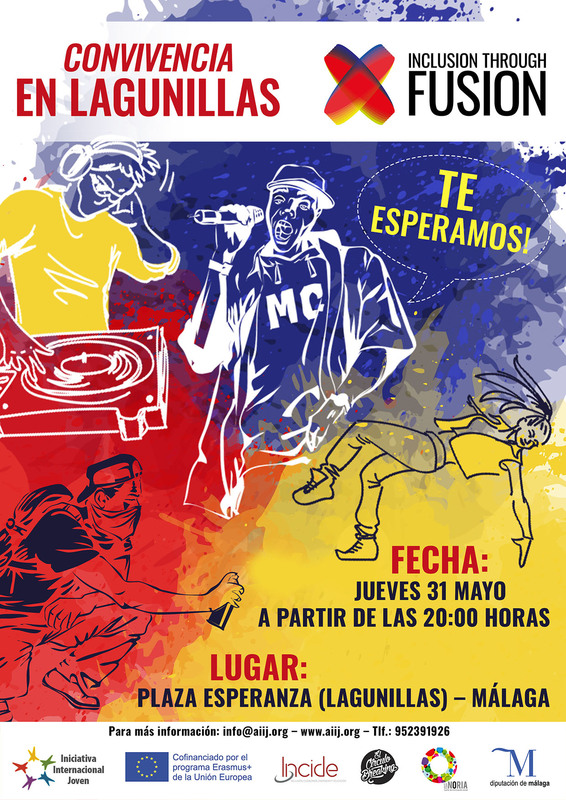 From 20:00 hour artists from more than six different countries will be at Plaza Esperanza in the Lagunillas neighborhood to make a fusion between flamenco and hip hop. It is a totally free activity, do not hesitate to come and share with other participants. The project is co-funded by the Erasmus + Programme of the European Union and for this activity we have the collaboration of the organization Incide and the association El circulo breaking.